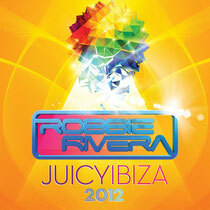 Continuing the series for the sixth consecutive year, Robbie Rivera has just released his new mix compilation ‘Juicy Ibiza 2012’. Epitomising the sun-drenched atmosphere of vacation time, beaches, palms and pool parties, Robbie drops the newest cuts in a feel-good summer vibe. Kicking off CD1, Robbie Rivera and Manuel De La Mare make the entrance with ‘I Love Ibiza’, followed by ‘Forever Young’ and ‘Makes Me Feel Good’. Making transitions to new singles by Cosmic Gate, Danny Howard and a Tristan Garner Remix of Tiësto’s all time classic ‘Traffic’, Rivera moves towards his collab with JES, entitled ‘Turn It Around’. Ultra Naté also makes an appearance with the Robbie Rivera Anthem Remix of ‘Save Me’, followed by Dero Vs Stefano Pain & Marcel who lend their own track ‘Retweet’. Andain chimes in on ‘Promises’ in the Lenny Ruckus & Ana Vida Remix, closing the first disc with a trancy tech feel. It continues on CD2, with Lea Luna and Quivver’s ‘Arrest The DJ’, Alex Guesta ft. Lili Rose’s ‘If I Could’, and Robbie’s own ‘In The Morning’ with Wynter Gordon. Russian trance master Bobina’s smash, ‘Quattro 372’, is included too. This disc climaxes like a true Rivera live set would and is mixed and compiled by the man himself. 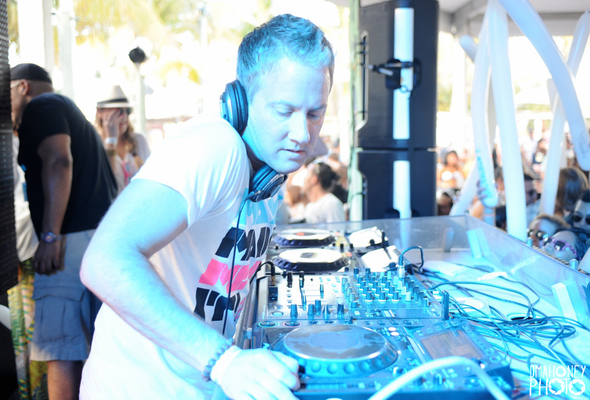 Robbie is the originator of the Juicy Beach parties and ‘Juicy Ibiza 2012’ should take you back to the chilled mojitos, palm trees, sandy shores and beautiful people of the island. Out now, check www.robbierivera.com and www.blackholerecordings.com for more info.